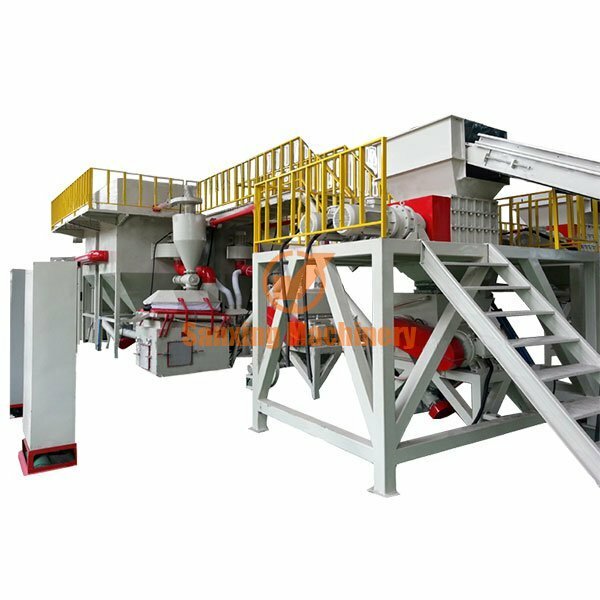 Waste PCB recycling machine gravity separating type is crude crushing /fineness crushing and then using gravity separator machine to get metals from PCB boards. For the metal and plastic materials is different, gravity is different, particles is also different . 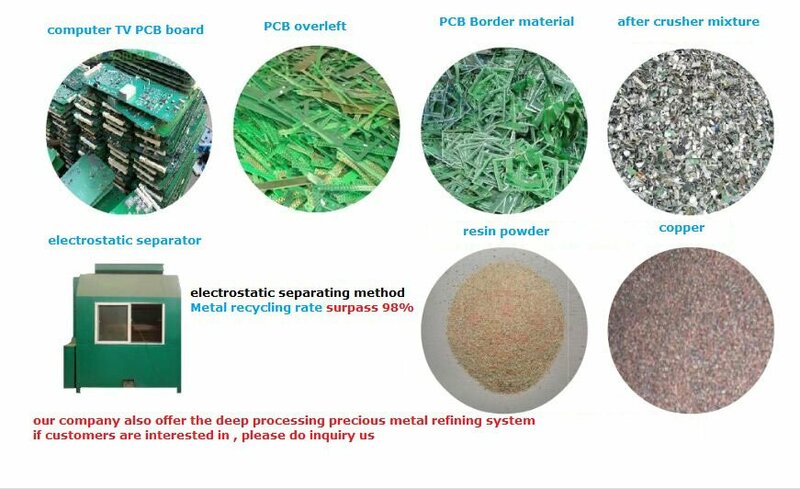 All kinds of computer boards/circuit boards/ PCB frames/leftover PCB/ PCB drilling materials / Cellphone board waste.